The Race To The South Pole. The Heroic Age of Antarctic Exploration is probably best remembered and recounted for its gruesome tragedies and not its glorious triumphs. The public outpouring of grief that followed the news of the deaths of Scott and his Polar Party, eclipsed the acclaim that Roald Amundsen had earned by not just becoming the first human to reach the South Pole, but to also survive and complete the effort, with an efficiency that has forever rendered the forlorn efforts of his rival, to be the subject of intense scrutiny. Scott and his four companions had also gallantly attained the Pole, but did so around 34 days after Amundsen, and all five men would die in wretched circumstances on their return journey. Amundsen would later convey the details of his successful quest in his book The South Pole, but it was the contents of Scott’s expedition journal that had captured the publics imagination. In defeat, failure and death, Scott’s memory and acclaim was better served than those of the victorious Amundsen. 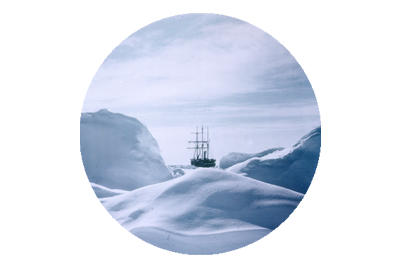 Amundsen first Antarctic venture was as first mate to Adrien de Gerlache, aboard the RV Belgica, on the Belgian Antarctic Expedition (1897–99), where he was among the first group ever to winter on the continent. In 1903 Amundsen led an expedition that would become the first to traverse the long sought after and fabled Northwest Passage, finally proving its existance, in the wake of countless failed and tragic crusades to do so. After this success Amundsen made plans to take an expedition to the North Pole, and borrowed the ship Fram, from Fridtjof Nansen. But in 1909, both Robert Peary and Frederick Cook made separate claims to have reached the North Pole, neither of which have ever been fully vindicated, but Amundsen, deeming the Pole conquered, set his sights on a new target – the South Pole. He did so in the utmost of secrecy, and even Nansen knew nothing of his intentions when Amundsen set sail from Oslo on June 3rd 1910. It was only when the Fram arrived at Madeira, that Amundsen told his crew of their destination, and he sent a telegram to Scott, informing him that the Fram was proceeding south. The race had begun. 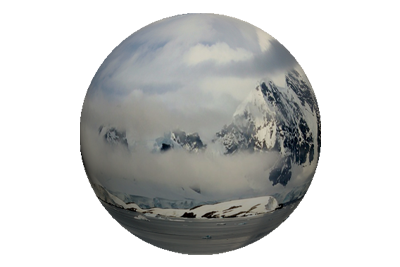 Simply enter the name of your county, or nearest large town or city, to calculate how far away the South Pole is from you. Despite his heroics in Antarctic climes, Tom Crean never actually made it to the South Pole. 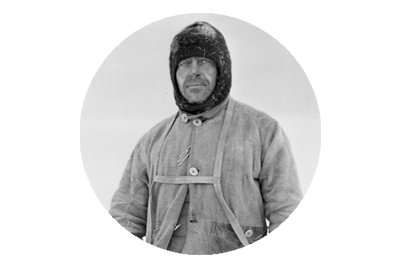 On January 3rd 1912, Tom was only 150 miles from the Pole, when Captain Robert Falcon Scott opted to send him back to base as part of the last support party. Scott’s Polar Party did succeed in reaching The South Pole, but tragically all five men would perish on the gruelling return journey. 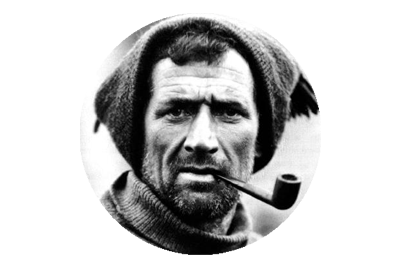 As perhaps the fittest and strongest of the eight men who stood within 150 miles of The Pole on the morning of January 4th, before the parties went their separate ways, it is a certainty that Tom Crean would also have made it to the Pole. The questions are, could he have survived the trek back to base, that claimed the lives of his five comrades, and whether or not he could have done anything to save them? Bearing in mind that the bodies of Scott, Wilson and Bowers were found in their tent, only around 11 miles from a huge, and potentially life saving supply cache, the question is a justified one. Roald Amundsen had of course beaten Scott and his Polar Party to the South Pole, arriving there on December 14th 1911, around five weeks before Scott. Amundsen and his men were the first humans to stand at The South Pole.